Kit includes: Pleated Imperial Batiste w/French Lace edging, 5 full rows pleated, silk satin ribbon for side ties & back keyhole closure. Choose batiste color, lace will be white except on the ecru batiste. Silk satin ribbon will match batiste chosen. 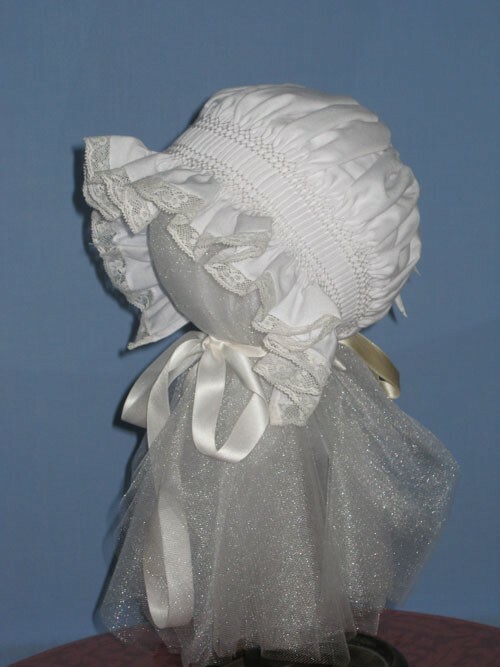 Also included is a smocking design & needle. You choose your floss colors. All you will need to do is run the back casing ribbon through & attach side ties after you complete your smocking!